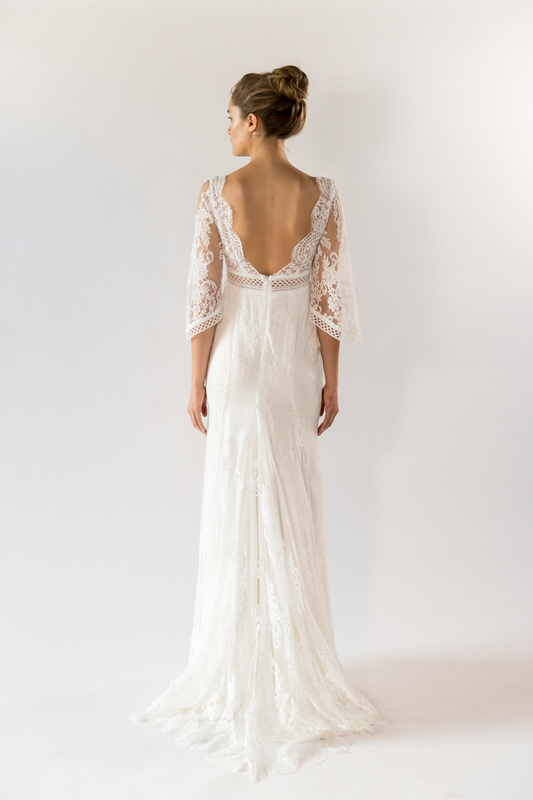 The Ava Dress is crafted from French solstiss lace she captures the perfect amount of décolletage through her gorgeous V-neckline which is accented by scallop lace edging. 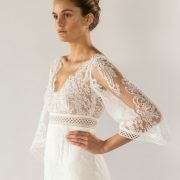 Ava also features beautiful boho, flute shaped sleeves and is finished with lattice lace trimmings. 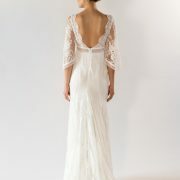 Lined from waist down to the most gorgeous floor sweeping train you’ve ever laid eyes on.